Apple has included the all-new Liquid Retina LCD as the display on the iPhone XR. It may be an LCD rather than the OLED display found on the XS/XS Max, but it is still a beautiful display. Colors pop, as it supports the P3 wide color gamut, and Apple claims it is the most color accurate LCD on the market. It is also impressively large for Apple's entry-level iPhone, a whole 6.1 inches in size, larger than the iPhone XS and the largest LCD Apple has ever included on an iPhone. It still comes in a tad shy of the 6.5-inch OLED on the XS Max, but it is still a great sized screen. The Liquid Retina display is also the first LCD Apple has made to include Tap to Wake functionality. Last but not least, it even supports True Tone for subtle adjustments based on the environments ambient light. Portrait mode photos have taken off, being one of the most used features of the iPhone X and its dual camera system. For the iPhone XR, Apple is only including a single lens assembly, but they are still able to replicate the Portrait mode effect via software and their upgraded Neural Engine. With just a single camera, the iPhone XR can detect a person's face then separate them from the background, applying a subtle bokeh effect to everything but the subject. It can even be adjusted after the fact with Apple's depth control feature for fine-tuning the amount of blur and bokeh. Talk about little touches, but the iPhone XR has symmetrical ports on the bottom of the device. Each side of the Lightning port six circles either used for the speaker or the microphone. On the iPhone XS/XS Max, there are four circles to the left of the Lightning port and seven on the right. This doesn't have any change in functionality, but it brings a good balance to the phone. In a similar vein to the iPhone 5C, Apple released the iPhone XR with a smattering of color options. Both the glass back and the metal frame are brightly colored for a fun pop. The glass uses an in-depth seven-layer color process to achieve the rich finish and the Apple-exclusive aluminum alloy is anodized to match. Color options include white, black, blue, yellow, coral, and (PRODUCT)RED. Buyers of the iPhone X, XS, and XS Max will know the hefty stainless steel frame that their phone is built on. For the XR, Apple opted for an aircraft-grade custom aluminum alloy with a matte finish instead. It keeps the phone exceptionally lightweight and durable, while still able to show off those vivid colorful finishes. Each of the new iPhone XR color options come pre-loaded with custom wallpapers that are color matched with their exterior. Our blue model, for example, features a bright blue wallpaper background. These wallpapers look great and only come with the XR. Good news is that each iPhone XR comes with all color variations of the two primary wallpaper designs for a total of 12 wallpapers no other iPhone ships with. Instead of 3D Touch, the iPhone XR replicates the experience using what Apple calls "Haptic Touch". Instead of having a 3D sensing display, a long press simulates the effect. Whenever you long touch on an applicable element, it will perform a similar 3D Touch action and the phone will provide feedback in form of a slight vibration. There are certainly limitations, for instance, you can't Haptic Touch Home screen icons to view widgets and actions, but you can still get into widgets within Control Center. Apple says this functionality will expand over time, showing in other places 3D Touch used to exist, such as the aforementioned widgets and previewing links. Of all the iPhones Apple sells, the iPhone XR boasts the most impressive battery performance. Apple says it can achieve up to 25 hours of wireless talk time, 15 hours of internet browsing, and 16 hours of video playback. These stats put the XR above both the iPhone XS and XS Max in terms of battery longevity. Our last top feature of the iPhone XR, is price. This is our category for pointing out how many iPhone XS features made it to the iPhone XR for significantly less money. Still has a 12-MP camera, the True Depth camera system with Face ID, Memoji/Animoji, wireless charging, A12 Bionic with Neural Engine, water resistance (though slightly less), True Tone, P3 wide color gamut, Haptic Touch over 3D Touch, dual SIM support, excellent battery life, Bluetooth 5, and the latest improvements in LTE. That makes the iPhone XR an absolute bargain of an iPhone. There are trade-offs certainly, but if you don't care about 3D Touch, the OLED display, the dual camera system, and the stainless steel body, the iPhone XR is a great iPhone. That's pretty much me. Now I still would prefer a smaller phone. 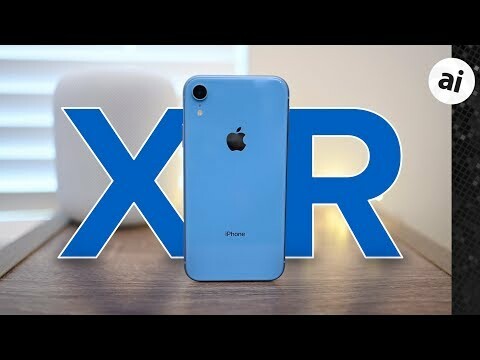 But otherwise if I was looking for a new phone I'd be looking seriously at the XR. But, my SE is going strong. No reason to upgrade until it doesn't or can't do something I want. The display area is worth mentioning because people may think that it is just a scaled up version of X/XS, it is not. Its display area is equal to XS Max’s with 414 x 896 points. The X/XS is 375 x 812. With 414 height in landscape it is more suited to landscape use than X/XS, as any other Plus model. So, by giving up on the OLED and the telephoto lens, people get a true XS Max with an affordable price. A big deal no one should miss. Found out yesterday it doesn’t support Force Touch, so this model is out for me. 3D Touch is one things I miss the most in my XR. I noticed that it was not a popular feature, and that's strange considering how better was to 3D touch than access an app to do the same thing. I hope Apple expand the whole features of 3D Touch in the hepatic touch in the XR, including apps. Antother thing is the size, since I prefer small phones. A part from that, the XR have been a very nice experience in the few hours I have been working with mine. This - Target had them on display side by side, and I could not see any difference between the displays to speak of. The Xr was actually slightly brighter and whiter, but I don't know I that was settings or the display. Either way, you're not going to notice any difference more than 99% of the time and I think the people who are making a deal about the lack of an OLED display are FOS. I have to agree with AI - the Xr is an incredible phone and a great deal. The only real compromise that I can see is the lack of a dual lens camera. I know some people like Spammy like it, and I've gotten to appreciate it on my 6s, but it's really been under utilized and I'm guessing Apple will morph force/long touch into something similar. If there's anything I can nitpick about the iPhone XR, it's that the front bezels are black. In the older iPhones, except for the space gray iPhone, the front bezels have always been white. For the six colors of the iPhone XR, only the black one should have black front bezels. Maybe the red one also can have black front bezels, but as a general rule, if the phone body is of a light, pastel color, the front bezels should be white. If there's a cobalt/purple, magenta or dark olive green phone, then it's okay for the front bezels to be black. It's not hard to understand. In a few years, MicroLED display will make its appearance on smartphones. All the goodness of OLED, minus the shortcomings. Apple had better invest a bit into R&D and patents; don't let Samsung, LG or JDI coerce Apple into paying a ransom for supplies of the display panels. Some Chinese phones have already implemented a on-display fingerprint reader. If that happens for Apple in 2019 or 2020, then Touch ID can be revived. I got the red XR. Black bezels don't bother me in the slightest. I can't say I honestly considered any other colors, though. First "white" iPhone was the 3GS. The black bezels didn't bother me then, either. And that was back in the day of real bezels.